Even though the United States does not depend only on agriculture to drive the engine of its economic development to the same extent that it did in the past, the fertile fields of the American heartland are still the envy of the world. 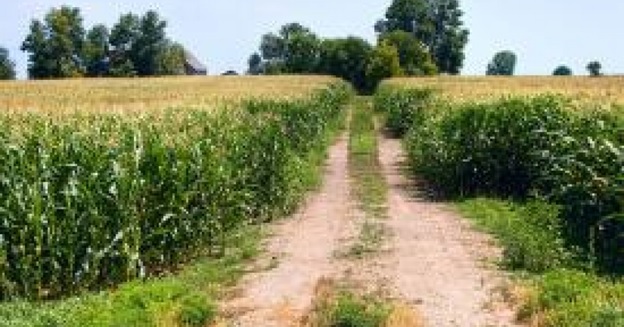 Corn has been cast as the lead role of this ongoing storyline of agricultural success, and without corn, the US farm sector would be just a shell of what is has now become. To a very large extent, we are still a nation that is defined by what we grow, and there is no crop that we are planting as frequently, harvesting as prodigiously, or consuming as eagerly as this hardy and versatile foodstuff. Corn is the base of numerous food products from flour which is use for making variety of bakery goods to can and frozen corn products. Corn is used as the main food for our livestock. Even though America is known for the wide variety of crops its farmers are able to grow and bring to market, almost 90 percent of the grain we produce. Overall, about 80 million acres of farmland are being planted annually with corn, and this is a number that has been increasing in recent years. Not surprisingly, the United States currently leads the world in per capita corn consumption, and really no other nation even comes close to matching our love for this hearty golden vegetable. While it is true that about 20 percent of each year’s crop is exported to other countries, helping to reinforce our reputation as an international breadbasket, what is being kept at home is certainly being put to good use; each year, the average American consumes more than 700 pounds of corn or other product made from corn, which breaks down to an astonishing two pounds per day for every man, woman, and child living within US borders. While just about everyone loves a tasty fresh cob of corn straight off the grill, obviously we are not eating this much corn in its natural state alone. The number of processed foods and other consumables that now contain corn or a corn derivative as an ingredient is almost limitless, and it is high-fructose corn syrup in particular that has been making a huge impact on the typical American diet. Actually, the impact of this product has been huge in more ways than one. Used as a sweetener in a number of foods and drinks, high-fructose corn syrup has been shown in studies to cause more weight gain in human beings than sugar when total calorie consumption is otherwise equal, and many nutritionists are beginning to link the explosion of obesity in this country to rampant use of this cheap sugar alternative. In addition to the sudden spike in obesity rates, up to 25 percent of all teenagers in the United States are now being diagnosed with diabetes, which is a disease that theoretically should not be seen in young people at all. There seems to be no question that high-fructose corn syrup consumption is deeply implicated in this disturbing statistic, since young people these days are eating and drinking extraordinarily large amounts of processed foods and soft drinks loaded with this additive. Overall, the average American consumes about forty-two pounds of this sweetener annually, and this number shows no signs of declining anytime soon. Despite the increase in the amount of corn used as a food additive, however, the bulk of the corn that people in this country eat is actually ingested indirectly, through the consumption of meat. Corn is used as a premium feed for cattle, pigs, and chickens, and up until just a few years ago, 60 percent of all the corn grown in the US was reserved for this purpose. Corn is being given to livestock in massive quantities because it fattens them up much more quickly than any other type of food, and with the evolution of the high-intensity factory farm that has all but completely replaced the traditional family farm, the imperative to produce as much food as quickly as possible has become more urgent than ever. The rise of ethanol has sent shockwaves through the agricultural economy, and corn farmers have been the great beneficiaries of the sudden burst in demand for their crops that has resulted from the government-mandated decision to mix corn-based ethanol into our gasoline. In just a few short years’ time ethanol has become a multi-billion dollar industry, and in 2016, for the first time, the amount of corn diverted for ethanol production surpassed the amount used as livestock feed. Estimates are that 30 percent of the corn grown in the US this upcoming year will be used to make ethanol, which is now being added to 60 percent of the gasoline sold in stations across the nation. The interesting thing about the push into ethanol is that it has happened concurrently with the release of a boatload of studies showing that the environmental benefits of using ethanol have been greatly exaggerated (some would say invented), and that its supposed ability to reduce our dependency on foreign oil is largely imaginary. Past government subsidies have helped spur the development of the ethanol industry, and while some opponents are hoping that the recent ending of these subsidies will pull the rug out from under ethanol this appears to be little more than wishful thinking. Government support or no, the economic and political momentum behind ethanol now appears virtually unstoppable, and regardless of whether or not it can actually deliver on the promises of its backers ethanol appears to be here to stay. While corn in its pure unaltered form is both delicious and nutritious, when converted into high-fructose corn syrup, it becomes just the opposite. Unfortunately, there is a lot of money to be made in America from manufacturing and selling nutritionally empty processed food, and corn farmers have benefited tremendously from this country’s irrepressible collective sweet tooth, which in reality is killing us slowly but surely. In the final analysis, even though astounding profits are being made in the high-fructose corn syrup market, the epidemics of obesity and juvenile diabetes that we are now experiencing would seem to suggest that our dependence on corn in its most popular processed form is more of a curse than a blessing. With the many corn products, Americans are not dependent only on high-fructose but on more of their nutritive healthy combination preserved products. Similarly, ethanol has brought a lot of money into the farm economy, but it is far from clear that this controversial fuel additive really deserves its exalted status. Commodity prices are notorious for their wild fluctuations, and if drought conditions were to hit the American heartland for an extended period of time, the demand for scarce corn crops could send the cost of gasoline soaring just as inevitably as the outbreak of war in the Middle East. Too much reliance on any one product or raw material leaves an economy vulnerable to price shocks, and the combination of rising food costs and rising gasoline costs based on shortages of corn could help send the US economy into yet another sudden tailspin. Finally, it must be noted that the corn market is not exactly the definition of self-sustaining. In recent years, as much as 62 cents out of every $1 that farmers have been earning from corn has come as a result of government welfare payments designed to help keep corn farmers in the black and in business. Oversupply of any agricultural crop tends to drive prices down to the point where they become unsustainable for producers, and this is what would have happened with corn long ago if the government had not been propping it up behind the scenes with billions of dollars’ worth of taxpayer-funded handouts. So while we must acknowledge the vital role that corn continues to play in the US economy, it is important to bear in mind that we cannot ignore the many vital products of corn in our economic. In large part, this is noticeable because the government is aware and has collected statistics surrounding the production and usage of the corn industry, making sure to identify and picking economic winners and losers also based on political considerations. This has made it impossible for the government, all the while to ignore what is actually best for the health and welfare of the American people as a whole.